This box set of 4 mini books is designed to grab everyone’s attention. 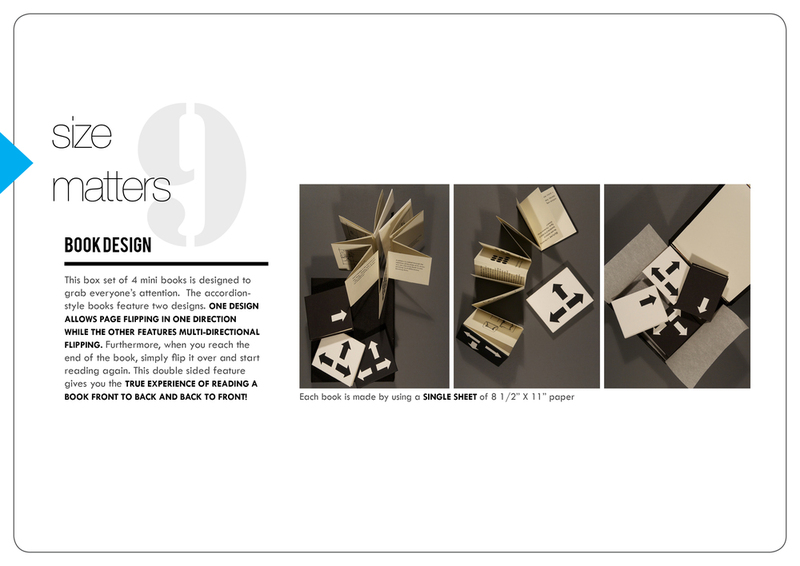 The accordion-style books feature two designs. ONE DESIGN ALLOWS PAGE FLIPPING IN ONE DIRECTION WHILE THE OTHER FEATURES MULTI-DIRECTIONAL FLIPPING. Furthermore, when you reach the end of the book, simply flip it over and start reading again. This double sided feature gives you the TRUE EXPERIENCE OF READING A BOOK FRONT TO BACK AND BACK TO FRONT!